Giving wedding favors is an age-old tradition that has evolved over the years. I always believed that favors should be unique and meaningful to the bride and her family. Favors should complement the theme of the wedding and they can also be tasteful additions to the table. These particular favors were created for a fall wedding. The reception took place at an elegant hotel. I took each lacquered jewel box and added a tassel for elegance. A tulle bag filled with sugar covered almonds called confetti and tied with a gold string was placed inside each box together with a tag indicating the couple names and wedding date. Each box was wrapped in tulle and tied with jewels. 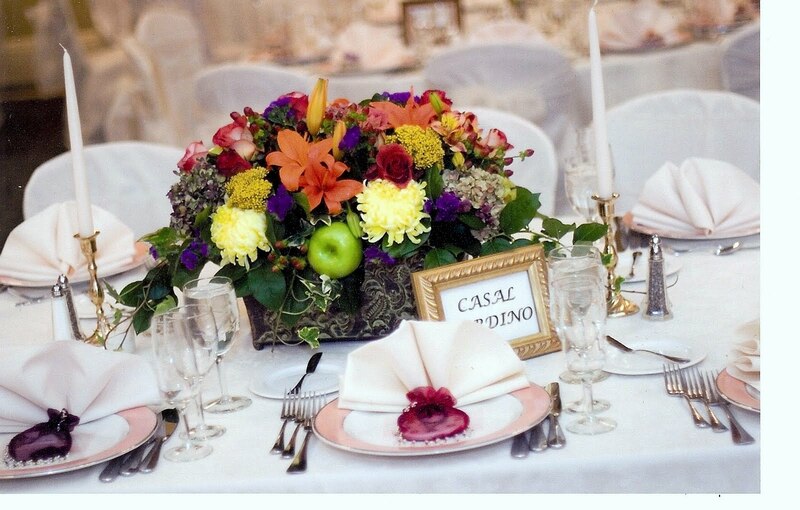 The jewel tones of the boxes reflected the lights of the chandeliers and complimented the bold fall colors of the flowers. A favor was placed at each place setting.